Drawstring Bags, which are fondly called sling bags are easy to use bags with a cute and retro drawstring tie up closure. The spacious main compartments and the simple sac like design will all give it an adorable and causal charm. These bags are designed to be used as backpacks or as sling bags around the shoulder. The no nonsense design and the brilliant color choices will all make these bags a heart throb of every genre of recipients that range from school kids to gym hitting youth to the elders frequenting the library or the shops. 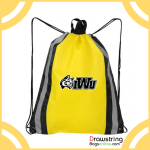 Custom drawstring bags can be used as laundry bags, weekend bags, shoe bags, dust bags, goodie bags or infact to pack any article and carry it in style. 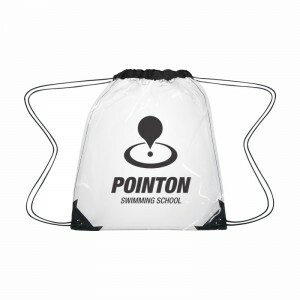 Here are some of the clever ways that custom drawstring bags can be used to promote brands and businesses. As beach bags: Choose any reusable custom sling bag in bright colors, imprint your brand, message or artwork to turn it into delightful beach bags. It will be a good option to promote beach holidays, resorts and more. You can even fill these bags with beach towels, sunglasses, sand toys or flip flops to add up to the value. Some of the models that can be considered include quick sling budget polyester bags. 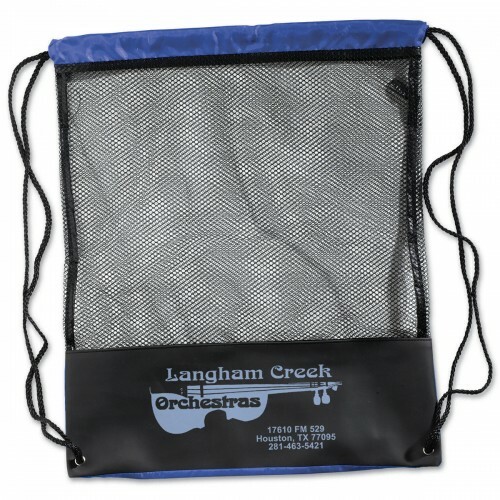 Budget friendly and aesthetically pleasing, these polyester sling bags are perfect for park districts, beach activities and more. The attractive color options is another big plus of these bags. Lynx See-Thru Mesh Drawstring Backpacks is another great gift option to consider. 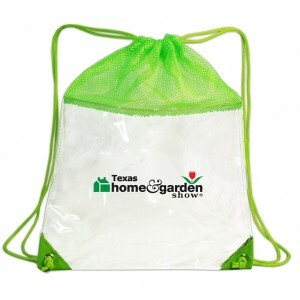 These transparent drawstring backpacks will offer the ease for users to store their things and to see what is inside. These make great bags for beach holidays, gym and sports events. The mesh design will make it a good option to store wet clothes and other beach essentials after use. As gym bags: Health is indeed wealth. The growing awareness of the importance of staying healthy and regular work out sessions has made gym bags a popular gift item. 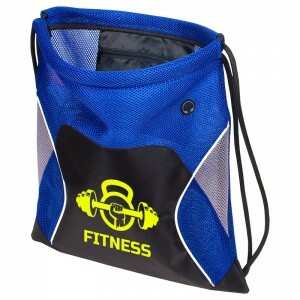 Drawstring bags are well suited as gym bags thanks to its spacious interiors, simple designs and attractive color choices. 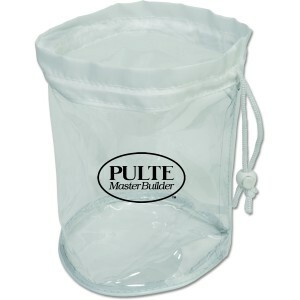 Clear Vinyl/Mesh Drawstring Backpacks will make a perfect option to consider in this category. This backpack offers large storage space and clear visibility to the stuff inside. It can be easily carried around using the close or smooth drawstring and flaunts an attractive design and color choices. As Travel bags: Though drawstring bags do not fall under regular travel bags, these fit the bills of a handy bag for short weekend trips. Custom Globetrotter Mesh Drawstring Backpacks will make a perfect gift for people on the go. 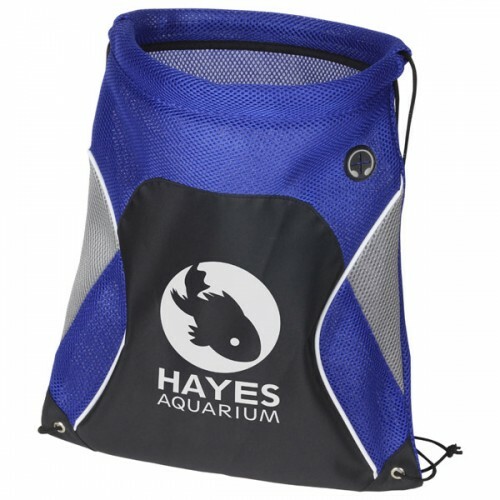 This mesh drawstring backpack easily becomes a hot favorite of holiday makers or outdoor junkies because it offers ample space for storing things and at the same time make them easily visible in the crowd. 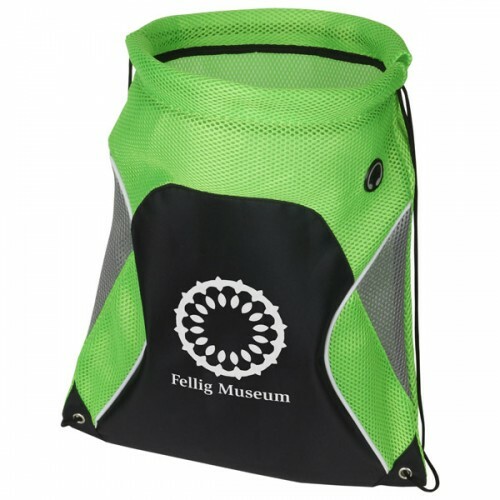 This back pack is offered in vibrant colors and marketers can utilize the surface for imprinting their logos or slogans in colors of their choice. 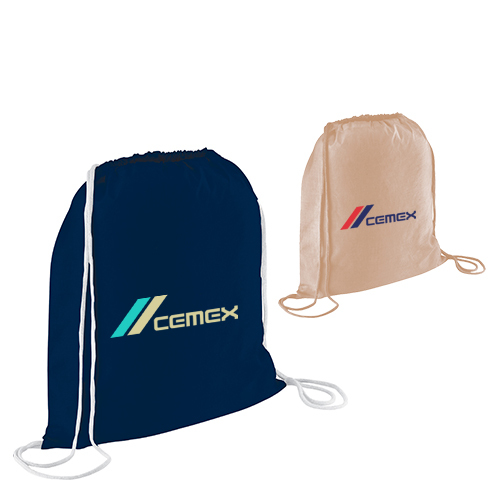 Water Resistant Non Woven Polypropylene Drawstring Knapsack is another wonderful custom gift for bikers, traveler or outdoor enthusiasts. It is also perfect to use during rain, and for beach holidays, swimming clubs, schools, nature clubs and so on. 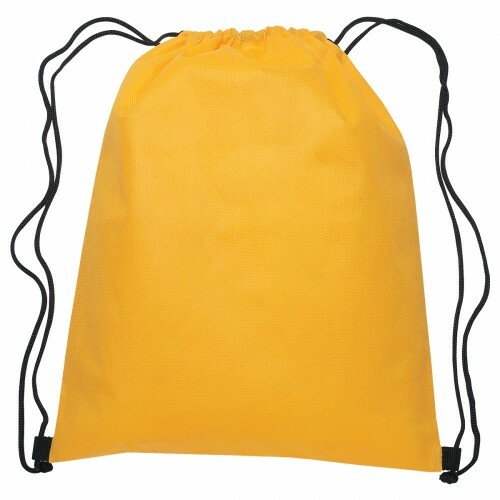 As School bags: Polypropylene Drawstring Backpacks with Handle will make a perfect custom school bag. These polytex drawstring backpacks that combine the richness of both tote bag and backpacks will become a runaway hit. 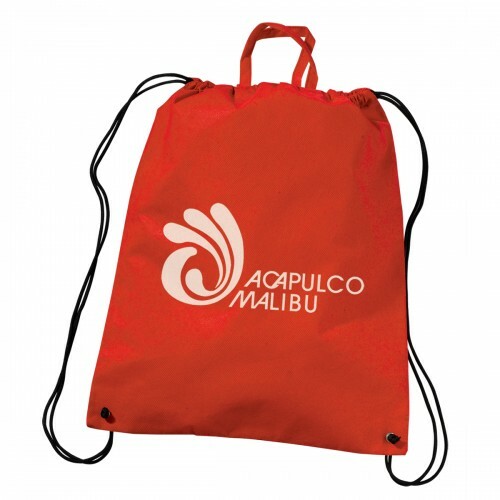 Use it as a drawstring backpack for schools or use it with handle and use it as a shopping bag. As First aid kits: Think out of the box and grab the attention of your customers with this unique gift idea. Forget about the customary first aid kits; pack these reusable drawstring bags with bandages, alcohol wipes, cold packs, and other items that can come handy in a medical emergency to impress your audience. You can think of many other creative ways to use these bags. Browse our collection to choose a perfect sling bag for your needs or call us for tips and assistance.